Salesforce.com as most of us is one of the leading sales automation tool used by organizations across sectors to streamline and effectively manage the sales function. 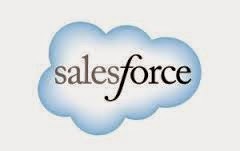 Apart from standard optimization of sales process- Salesforce.com has modules on Marketing and CRM as well- Salesforce.com is a complete one stop solution for all Sales and Marketing requirements however organizations have the flexibility to choose whatever they feel is most important for their set up. Salesforce.com subscriptions are typically based on the Per User per Month Model where you take licenses for a set of 5 users (for e.g. and pay a monthly subscription cost accordingly) more licenses can be purchased as per the need. Each organization may have to customize Salesforce.com since the processes for handling sales and marketing function differs across industries. May a times organizations may feel the need to engage a third party to help them use Salesforce.com as per their requirements. These third parties may help by setting up custom workflows (like-approval, assignments etc. ), customizing outbound messaging content and mechanism, reporting and dashboard customization etc. These customization's can help businesses to achieve their business objectives and goals. Salesforce.com customization process has to be laid down by keeping in mind all the factors like the existing sales process and the level of automation in the process desired. At Mind in Motion Software we have deep expertise in helping organizations realize and acknowledge the power and utility Salesforce.com as a leading Sales Management tool. We can start from scratch and look at every minute detail of a company’s sales process and then develop a step by step detailed plan on how to best map the processes in Salesforce.com so that the clients can reach their business goals effectively and efficiently. Having worked with some of the leading names across different segments and markets we have developed and documented successful used business cases to help organizations reach their sales automation goals much quicker then anticipated.